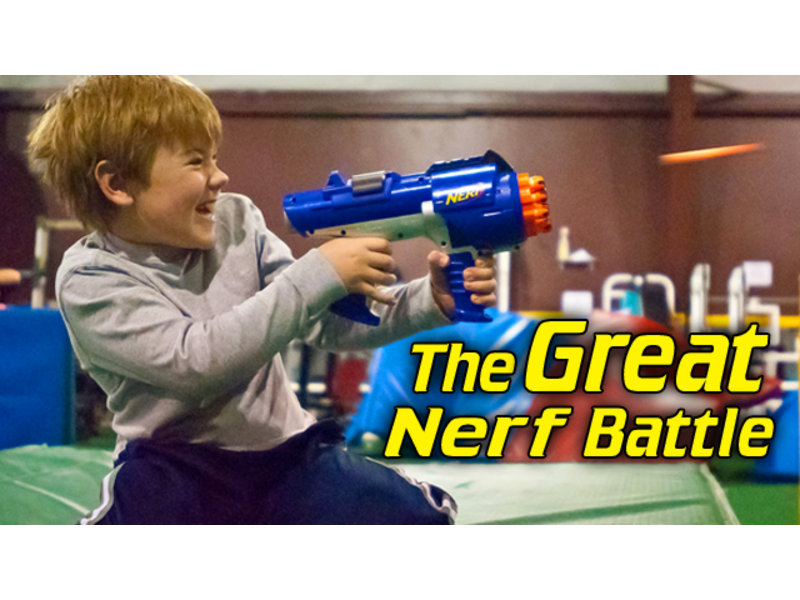 Nerf Battles are a ton of fun for players of all ages. And we really mean all ages! From grandkids to grandma and everyone in between anyone can play! Each game has a different objective to keep things exciting. To get started we go over the safety rules, get everyone their safety gear and nerf gun. Then we divide up teams, and you test your sharp shooting skills inside our glow in the dark nuclear bunker. Play Nerf As Part Of Your Next Party! No it does not! Since it is using foam darts, and eye protection is provided no one should ever get hurt playing our Nerf Battles. Nerf Battles can be played with as few as two players, or as many as twenty. If you have selected one of our Birthday Party Packages your group will be playing on the field privately. If you just want to walk in we will do our best to accommodate you, and you may be playing with a mixed group of other players. Nerf battles are only available during specific hours. Does it have to be glow in the dark? Play in our Glow In The Dark room is a ton of fun, but if you prefer we can also turn on the main lights. So really it’s up to you! Games are eleven minutes long and trust me, if you are playing it right you will need a breather between games! After each game we explain the objective for the new game, divide up new teams and get back to playing. How many shots do i get? The room is filled with foam Nerf darts, and all of them are reusable! So after taking your shot, all you need to do is find another nerf dart and keep playing.